Upgrading your windows can improve energy efficiency and decrease your monthly energy bills by tens or even hundreds of dollars! As a premier construction company in Huntersville NC, we specialize in all types of window installations and replacements. Scroll down to read more about each of the types of windows we install most commonly. If you need help making the right choice for your particular application, our experts are happy to answer any questions you have. Feel free to give us a call or fill out the form on this page to request more information. Transform any room in your house with a gorgeous bay or bow window. These truly help to open up your space creating a focal point that allows you, your loved ones and guests a beautiful view into the space on the other side, whether you’re outside looking in or inside looking out. When installing bow or bay windows on your house, it’s important to find a reputable window specialist to perform the job. You can count on us for all of your replacement window installation Huntersville NC needs! Attached to a frame by one or more hinges, casement windows are a great option if you’re looking to add more insulation to your home. Angle and open them outward to direct natural outdoor breezes inside and save money on your monthly utility bill during summer seasons by using the A/C less frequently. Functional and elegant, it’s no surprise that double hung windows are a popular choice among Huntersville NC homes and buildings. They operate by allowing both the top and bottom panels to move and they also tilt for easy window cleaning. A common choice for commercial applications, garden windows protrude and allow plenty of natural light to filter into a room. This makes them a great place to house your favorite plants, allowing them to bask in the sunlight. 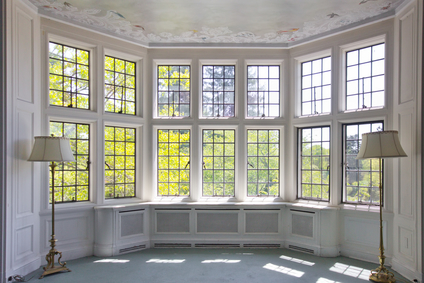 Garden windows affect the interior and exterior appearance of your home and must be installed with extra care. Be sure to hire a window specialist who is experienced and knowledgeable when it comes to installing slider windows. Slider windows are like double-hung windows that have been turned horizontally. They slide back and forth easily, allowing for effortless opening and closing. Our window replacement specialists have years of experience installing and replacing slider windows on home and office buildings. Not sure which one is right for you? We’d be happy to help you decide based on your needs and budget. Give us a call or fill out the form on this page for a free on-site inspection and estimate!